I'm a big fan of bracelets and necklaces. A beautiful bracelet freshens up an outfit. 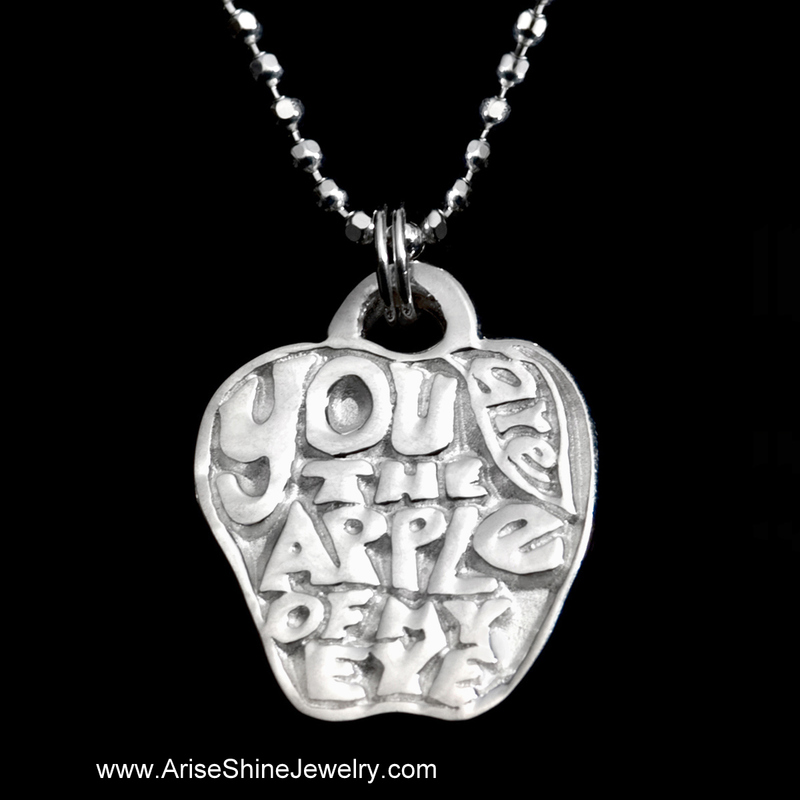 An eye-catching necklace gives people a sneak peak into your personality and style. That's why I've been having so much fun wearing by brand new bracelet from Arise Shine Designs around the last few weeks. Rebecca, the creator of Arise Shine Designs, let me choose my own piece from her amazing collection. When I saw the Mille Fiori Venetian Bead bracelet on her site, I knew right away it was totally me. Paired with a Joy charm to remind me to choose joy daily . . . sometimes hourly . . . this little piece of jewelry is a source of inspiration. I found a few other favorites on her site as well. Rebecca's attention to detail and costumer service skills are amazing. Keep Arise Shine Designs in mind for a truly special and inspirational gift this coming holiday season. Rebecca is a true blessing to work with, and I'm so excited to call her a super sponsor of twelve crafts till Christmas. I'm also excited that we are teaming up to give away two mini charm necklaces . . . that's right, I said that there will be TWO winners! Woo hoo! The second winner selected will receive the remaining necklace. 1) Go check out Arise Shine Designs and come back here to leave a comment telling me your favorite item. 2) Sign up to receive the Arise Shine Designs newsletter. 3) Like twelve crafts on FB so that you don't miss out on other opportunities to enter throughout the week. 4) Blog, tweet, or FB post about this giveaway . . . or do all three for three extra entries! 5) Answer this question: What piece of jewelry do you wear most often? 6) Like Arise Shine Designs on FB. Giveaway ends Sunday night, November 7 at 11:59 PM (CST). My favorite is definitely the "As for me and my house" necklace charm! I love the "prosper" necklace! I love the joy bracelet. So pretty! I signed up for Arise and Shine Designs newsletter. I really like the silver flower charms! Ooooh. I love her jewelry!! My favorite right now is the "One" charm necklace! 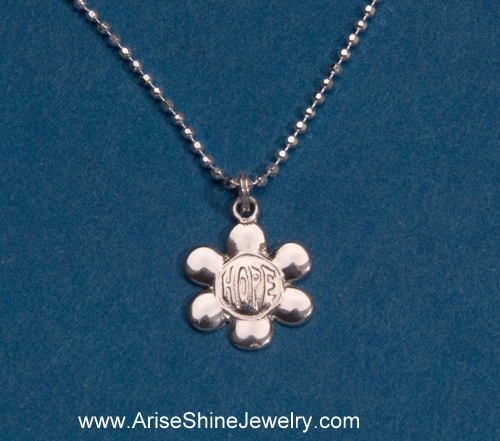 I love the Hope and Remembrance Mini Charm necklaces. Like Twelve crafts on FB. I wear my earrings that my husband got me 2 Christmas's ago, the most! The most worn piece of jewelry are the earrings that I wear 24/7. I have been wearing them since before my son, who is a senior, was born. I, of course, take them out to clean!!! The only other times they come out are for special occasions. I love the Abide necklace. I love the charms! I need as many reminders as I can get. I wear necklaces most often, but bracelets are a close second. I usually am wearing both. 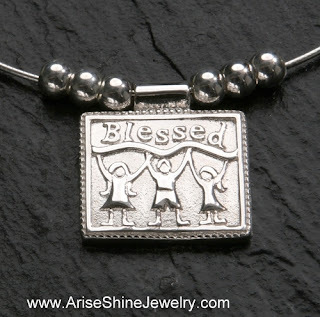 I "joined" Arise Shine Designs on facebook. My favorite thing is the "I Knew You" charm! How sweet! The piece of jewelry I wear most often is my wedding ring - I never take it off! I love the Hope earrings. My friend is an earring junkie and she just found out she's pregnant when they told her that the chemo she went through would make her sterile. I would love to buy them for her. 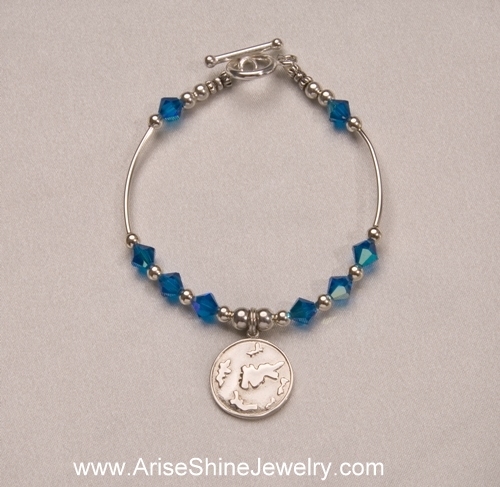 I have signed up for Arise Shine Jewelry newsletter. 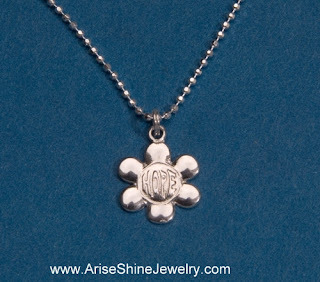 I LIKE Arise Shine Jewelry on Facebook. Other than my wedding rings the piece of jewelry I wear every day is a bracelet my dad gave me. I love the Wisdom-Key earrings! Such a nice reminder. Other than my wedding ring and watch, I only regularly wear earrings. Bracelets and necklaces are only for special occasions since they become toys for my son the moment I put them on. But I wear earrings (almost) every day! I love love love the world and the trust bracelets! I like the Beloved pendant. Simple but pretty! I like 12 crafts on FB! I wear my stud diamond earrings all the time. Never take them off! A TOTALLY surprise birthday gift from my husband one year that the kids can't break or accidently pull off! Love this jewelry. Definitely going to be on my Christmas list. I like the "as for me and my house" necklace.. too cute. Never seen anything like that before. I really like the "Follow" choker. I am a fan of Twelve Crafts on facebook! The piece of jewelry I wear most often is probably the necklace my Godfather gave me for my sweet sixteen. It is a diamond journey pendant set in white gold and it is probably my favorite piece. I like Arise Shine on facebook! I love the Wisdom earrings! I like Arise Shine on FB! I LOVE earrings! That's what I wear the most! I absolutely love the "I knew you" bracelet!!! The jewelry I wear most is my wedding ring. I love the tears bracelet. It could symbolize the loss of my brother last month. I would want this if I won! I wear necklaces and earrings most often. 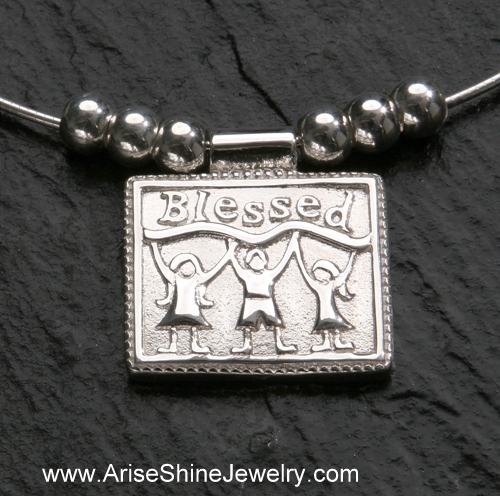 Liked Arise and Shine on facebook. I love the mille fiori venetian bead bracelet! Beautiful work! What piece of jewelry do you wear most often? A pair of tripple loop stainless earrings that my grandmother bought me from QVC. They match everything, they dont turn me green or itch, they shine like something expensive, and they are lightweight. I wear a lot of silver and silver tone pieces but I am forever more looking for something bronze-ish to match with my earthtone and gold outfits. 1. I love the pink JOY bracelet! 2.I signed up to receive Rebecca's newsletter! 5. I wear "New" the most. I met Rebecca at a Women of Faith conference many years ago and have loved her and her scripture jewelry since then!! She is FABULOUS!! 6. Already a fan on Arise Shine Jewerly! I found you on Rebecca's Fan page! So glad I did!